Our community is gradually growing bigger. 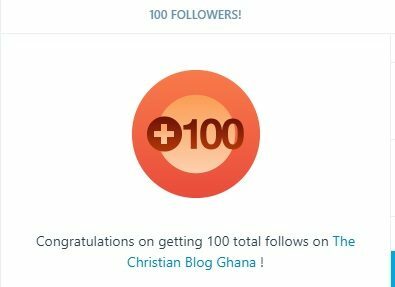 We have gained over 100 followers and to celebrate this achievement, we’d like to share blog subjects that attract a wide readership. This is based on the blog’s traffic statistics over the years and aimed at giving you some insight in case you are thinking of what to post on your blog. This, perhaps, is one of the easiest subject to write about. A Christian blogger may read a portion of the Bible or hear a sermon and may decide to share his/her perspective on the subject. The content may also be based on the writer’s revelation and depending on how the content is presented, this subject area may attract some readers. Your perspective will matter more if you are an expert in a particular field. For instance, people would click on the link to read a post if a successful musician shares tips on how to sell an album. A blogger should not always share his/her perspective on subjects but rather find other ways of presenting them. One way of doing that is to give the subject area to other writers to develop and for you to feature their work on your blog. This is quite an interesting subject to blog about and one of the most demanding. It requires reading Christian literature and sharing your thoughts and critiquing the book’s content. Well, depending on the country you are blogging from, this subject could be something to explore but the truth is when book reviews are done on this blog, the number of Ghanaian readers who click and read is not as high as other nationals, therefore, making it a tricky subject to blog on. Christian fiction has a wide readership, particularly, if they are well-written, full of suspense and has some humour in them. This is an area to explore, especially, if your target readers are Ghanaians. If you have a perspective to share on a subject, you may want to think creatively and convert them into short stories to break the monotony of writing dissertations or thesis for your blog. Featuring other good writers on your blog is one of the quickest means of attracting readers and expanding your blog’s reach. If you have the time and the skill, interview other people [especially, those who do not like writing] on various subjects and post them on your blog. When such posts are featured on a blog, they attract readers, particularly, from the guest blogger’s circles. It is almost like a brand endorsement or social media influencer recommending your blog. Based on this blog’s statistics, this is one of the most widely read subject areas. Readers would want to know your personal life stories so instead of writing broadly on a subject and providing information on how to do something, it is better to package that into a personal testimony on how you overcame an addiction or met your spouse or how your tithing habit helped you to overcome poverty. Your relatable life testimony could be the life-changing agent for that reader going through a similar challenge. Are you a blogger? Which subject do your readers love? Are you a blog reader? which one is your favourite? We’d love to know.